When it comes to quality, value and service, accept no substitutes. 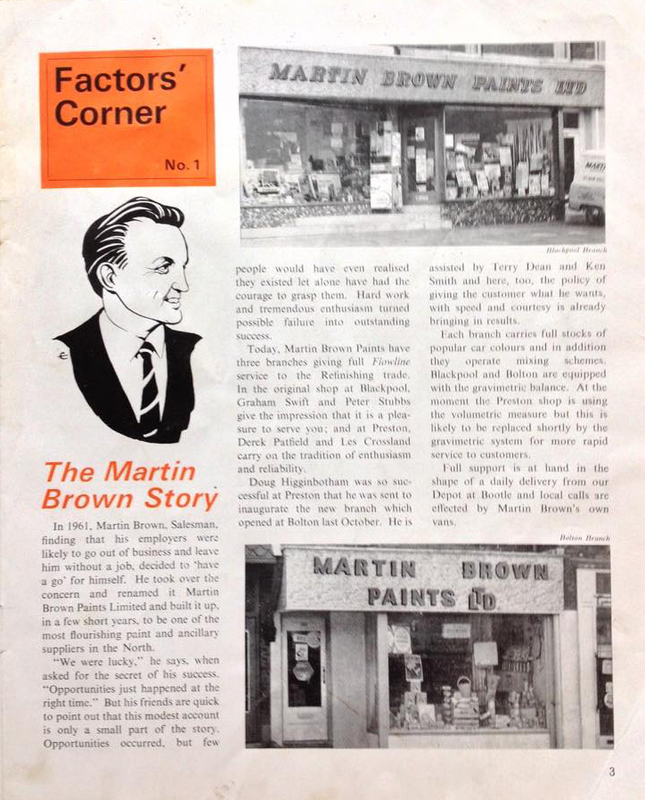 Martin Brown Paints is the nation’s favourite solution for automotive refinishing and industrial coatings. 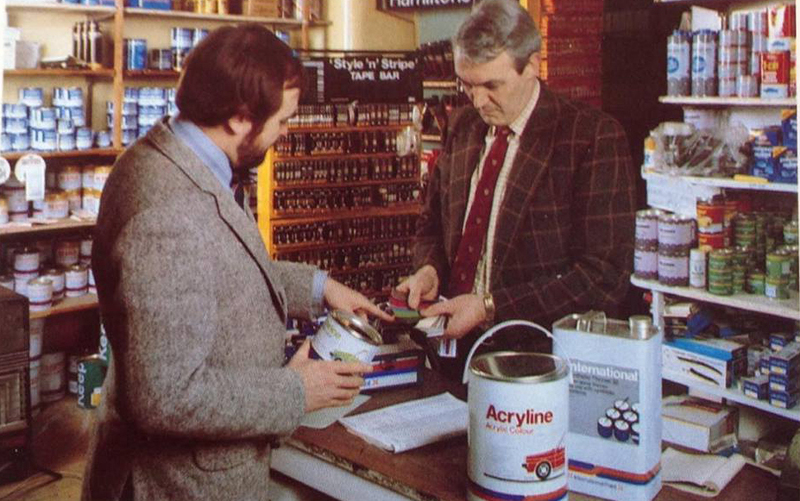 For 55 years we’ve delivered only the very best service to our customers. Our dedicated team of specialists are always on hand to advise and support your needs, adding that personal touch every step of the way. The reason we’ve been successful for so long is our family approach. 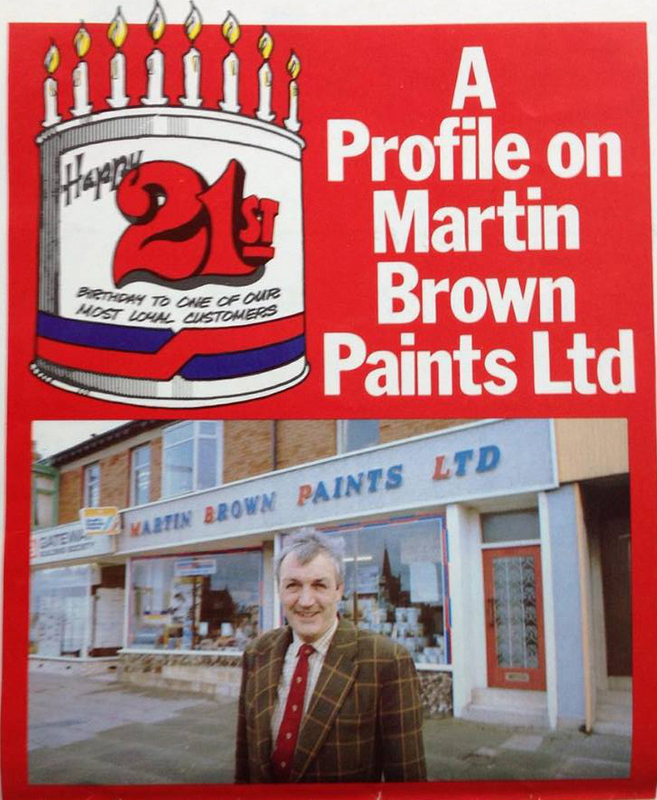 Martin Brown Paints started as a family-run business back when it opened in 1962, and we are still family operated now, upholding the same high standards and values that we did all those years ago. We work closely with our choice of suppliers to define the right products and systems for our customers, ensuring that quality is not undermined by value and availability. Our practical solutions are in place so you get the best results from your work, and to improve your productivity so you can achieve fantastic results. There’s no other paint and coatings specialist that offers the service that we do. That is what makes Martin Brown Paints the nation’s favourite solution for automotive refinishing and industrial coatings. We supply a range of Industrial Paint products to suit almost any type of application. Covering areas of application such as plant and machinery. 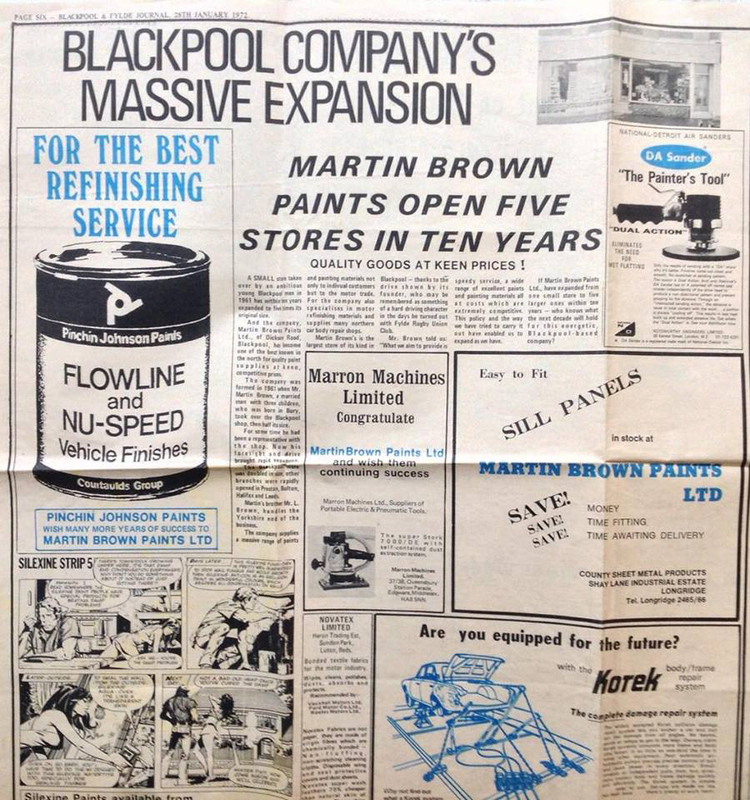 For over 55 years, Martin Brown Paints has proudly served the Commercial Vehicle sector with bespoke coating solutions. Maintaining your plant equipment and machinery is essential. It adds longevity to your equipment and ensures the smooth-running of your operations. Our dedicated team of specialists are always on hand to advise and support your needs.